Welcome to my Pax cleaning guide. 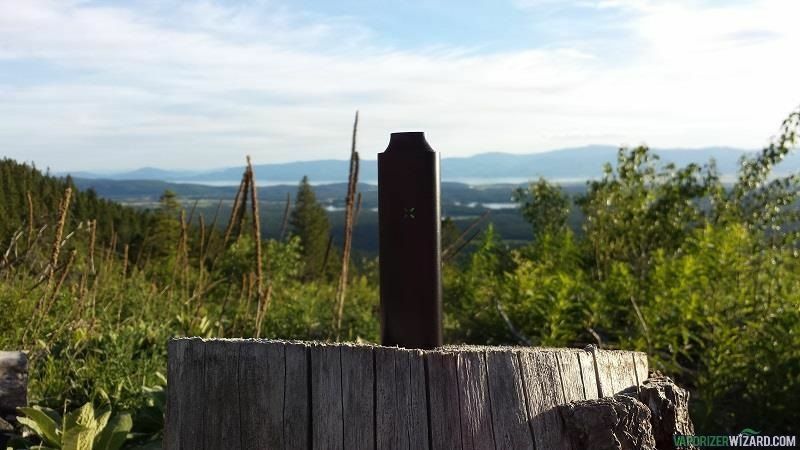 The Pax is elegant, discreet and extremely portable. It does however, require a bit of maintenance to keep it running up to expectations. Pax also states in the warranty that neglect of proper cleaning procedures could neglect the warranty. I’ve made this Pax vaporizer cleaning video to help you keep your Pax performing like new. I recommend that you clean your Pax every 8-12 sessions and some even clean it every 4-7. Update 4/15/2017: The new Pax 3 portable vaporizer is out! It’s the same size as the Pax 2 plus they added a new interchangeable concentrate insert. It heats up faster, comes with a smartphone app featuring a complete temp spectrum and also comes with the new half-pack lid. It’s everything we’ve asked for except convection heating. I definitely recommend the new Pax 3 if you don’t have the Pax 2 already. If you already have the Pax 2, you might want to hold off and see if they are going to offer the concentrate insert for sale. The Pax 3 concentrate insert is interchange with the Pax 2 so that might be the best option for current Pax 2 users. The Pax 2 is finally out and has drastically reduced the cleaning involved compared to the original model. They added in some new innovative features, reduced the size by 25% and the weight by 10%. They also added in a new temp (4 now) to increase the vape temp range by 10 on both sides (360F – 420F). You can check out my Pax 2 vs Pax 1 Comparison to get all the info on the upgrades and differences between these two units. Overall, I would say the new flush mouthpiece design and new charging system cut the cleaning by 75-85%. 1. Pax Mouthpiece Lubricant (Now available in a new easy to use bottle). This comes with the cleaning kit when you buy the Pax. You can also use any food grade propylene glycol if you don’t have any of the mouthpiece lubricant. I’ve always just ordered a new cleaning kit when I start to run out of stuff. Plus the new lubricant bottle is much easier to apply and keep stored. Check out the video above to get a step by step tutorial on how to completely take apart the Pax, clean it, and put it back together. Pax Temp Light Issue – One of the problems I’ve encountered is the Pax turning on and going straight to the temperature setting (yellow, orange, or red) instead of the normal purple glow while warming up. This is known as the Pax “Temp Light Issue”. Residue tends to build up in the area where the switch is that tells the unit to heat up. If this is happening I recommend you use the interdental brush from the cleaning list above and clean the area directly around where the vapor path travels. Then apply a small amount of lubricant to the mouthpiece. This usually fixes the problem for me. Pax Mouthpiece Stuck – If the Pax mouthpiece is stuck in the down/off position and it won’t pop out, just blow into the mouthpiece a few times and it then try to turn unit on. This is usually a sign that your Pax needs to be cleaned. Pax Screen Stuck – If the screen in the chamber is stuck and won’t come out then what you can do is grab a straw from a compressed air can or a WD40 can. Pop out the mouthpiece and push the straw down from the mouthpiece and towards the screen. You will feel resistance when you hit the screen. Just give it a little nudge a couple times and the bottom screen should just pop out. Draw Resistance/Weak Hits with the Pax – I’ve noticed the Pax doesn’t perform as well with coarser herbs. I recommend you pick up a grinder that will give you really fine herbs. Using the MFLB finishing grinder has given me the best results as far as vapor quality and length of my session. The finer herbs allow the Pax to heat the entire chamber more efficiently. If you’re ready to move on to something new… I recommend you check out the my top picks for best portable vaporizers. I always keep it up to date to reflect any new portable vaporizers on the market or changes with old models. Thanks for watching/reading and if you have any questions don’t hesitate to contact me or leave a comment below. Hey guys buzz here with vaporizerwizard.com. Today we’re going to be going over how to clean your pax portable vaporizer. Now, some of the things you’re going to need is the pax mouthpiece lubricant. This is available in a cleaning kit. You can find more information about this on my website vaporizerwizard.com. The next thing you’re going to need is an interdental brush. You can pick it up in a pack like this available at your local grocery store or drug store. I also have a couple q-tips, I have a pipe cleaner. That’s also available with that cleaning kit. And also a straw that you can get off a DW40 can or compressed air can, I’ll show you what we’re going to be doing with this later. You’re going to need 91% isopropyl alcohol, and then a jar to keep the alcohol in. Ok so there’s pretty much two pieces to the pax that we’re going to need to clean. First of all its going to be the oven, and the mouthpiece. So in order to the mouthpiece, we’re going to turn the unit on, pop it off, find the groove back here, it just comes off like that. Set this down. I’m going to go ahead and grab our interdential brush. Dip it in a little bit of alcohol, not too much, and dab it off. And then what we’re going to do here is clean around the outside of this chamber. So it’s too small for a q-tip, and its just right for this. So what we’re going to do is just go around on the edge here. So as you can see, that’s pretty clean already. The next thing we’re going to clean is the mouthpiece. Now if you can see here on the right hand side, that’s where the vapor travels and that’s what we’re going to try and clean here. Get a little more alcohol on here, dab it off. Ok. Now the next thing we can do is get in here and clean this piece. Also on the top, you’ll notice this piece moves right here. So get on both sides of that and then also along the top here. Ok so the next thing you’re going to do is grab the pipe cleaner and the mouthpiece and we’re going to clean the inside of this tube where the vapor travels up. So you’re going to dip it in a little bit of alcohol, you don’t want it soaking wet, so dab it off. That should be pretty good, you can also use it to get the outside of this as well. Ok, set that down. Then you can also pick up a qtip, little bit of alcohol and clean the top part of the mouthpiece. Now you can use a paper towel for this but I already have the qtip so we’ll just go ahead and knock it out. Ok, then we’re going to go ahead and pick up our pipe cleaner again. This part we’re going to have to remove the lid on the oven and then also remove this metal plate that is on the inside. Now normally how you would do that, is you would take this pipe cleaner that comes with the pax cleaning kit and run it all the way down this chamber. This is how the vapor travels from the oven to the mouthpiece. And then slide it down and it should knock it out for us. There it goes. So this is what comes out, this little metal piece here. Set that down and keep cleaning this out. Probably need a little bit more alcohol on here and higher up too that way you can get more alcohol all the way down the tube. Still dab it off though because you don’t want to get an excess of alcohol inside this. So were going to run it down from the top and you can do it from the bottom as well. Now the reason I have this straw here that came off the wd40 can is sometimes if you haven’t cleaned your pax in a while. It fits perfectly down that vapor path, and you can use this to push out that screen, that metal screen. Sometimes it gets stuck down there. So go ahead and set that to the side. Now the other thing we’re going to do here is grab a q-tip. Sometimes this metal tray down here and the oven get pretty nasty. So you can just run a q-tip down here, a little too much alcohol. Now you’ll see some discoloration down here and that’s normal after use. You’re not going to be able to get it as clean as it was when you first got it. You just wanna try and get the big chunks off. Ok next, we’ll grab the metal screen from the oven and another qtip, dab it off. Now just like I said with the oven, this isn’t going to look brand new. But you can however, clean it off pretty well. Ive had mine for a while so this is probably about as good as it’s going to get. Ok, so even if you have some discoloration here like I have on mine, it’s not going to affect the use of your pax. It will be just fine. So go head and set this off now. Then the next piece we’re going to clean is the lid on the bottom, the magnetic lid. That actually cleans up pretty nice. If you wanted to you can actually, use this brush here to get down on the side of this. Doesn’t seem like the qtip fit very well. Ok so now we’re done with the cleaning part. The next step is to apply the pax mouthpiece lubricant and then put it back together. Now, I already have one open, I’m going to go ahead and use this one. Now what you want to do here is basically get about 1-2 drops on this brush. That’s good right there. We’ll set this to the side. You’re going to grab your mouthpiece, you’re going to go on the inside, about one swirl. Along the outside and along this piece as well. Set this down. Go ahead and put the mouthpiece back in. Go ahead and click it a couple times. Ok, and then, wheres this screen. There where we go. Go ahead and put the screen back in the bottom of the oven. Then the lid is magnetic so you can just reattach it like so, it stays on there. And there we go. Now I clean my pax probably about every 8-10 sessions, make sure you’re using the pax mouthpiece lubricant on the top of the mouthpiece. If you guys have any questions or ideas feel free to leave them in the comments below. I hope this video helps and thanks for watching. Where can I get the brush? Try the grocery store, Walmart, Walgreens/CVS. Hey! Thanks for the tutorial! I have a question though, for some reason after cleaning and when I start to use the Pax, I taste rubbing alcohol and it gives it a nasty taste. What should I do to get rid of that taste, I’m having a hard time making it go away…. Hey Nick, I always use the highest percentage rubbing alcohol I can get, 91% of more. Another important thing to make sure its FULLY dry before using it. If you are still getting an alcohol flavor you can try rinsing the whole mouthpiece in water after its been rubbing alcohol’d but before you put on the mouthpiece lube. Hey Linda, you can get the Pax Lubricant at Vapeworld, just search “Pax Lubricant” and the bottle should show up, which is much easier to use than the packets. I live in Vietnam and have no more PAX Mouthpiece Lubricant. It is let us say testy to have things shipped into country. They open everything look it up on the internet and charge 100% tariff. What is a general lubricant I can use for the PAX? Thank you so much for this very informative, detailed video. I was having a lot of problems with my Pax – it wasn’t working basically – and the mouthpiece wouldn’t come up. It was so bad, I contacted the company and was all ready to ship it back to them. They suggested that it probably needed a good cleaning and even though they emailed me how to go about this, it’s not like someone sitting down, right in front of you, and going through it, step by step. Your video has been so helpful! My Pax cost me way too much money to have to replace it so soon. Now I will clean it on a regular basis, using your video until I can do it without. I was just given a Pax premium it has a flat mouthpiece I cannot find any information about anything called a Pax premium. Maybe a knock off? Not for sure on that one. Sorry Libi.